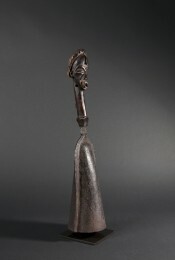 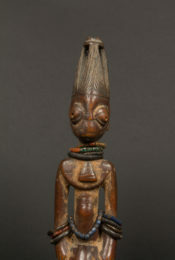 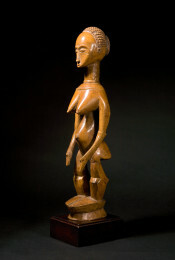 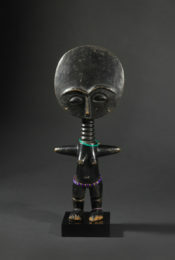 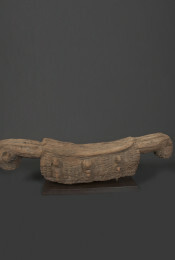 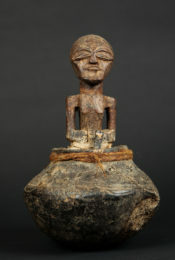 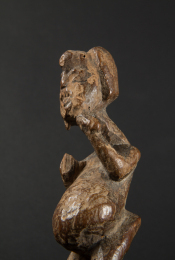 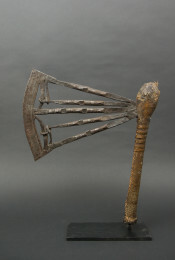 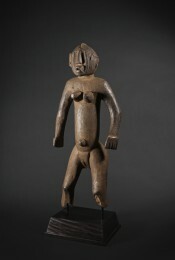 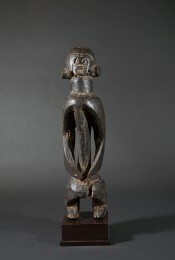 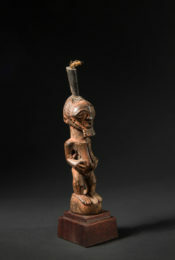 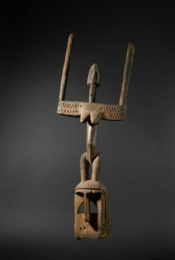 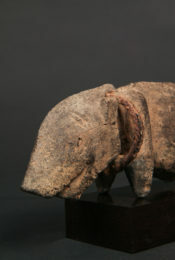 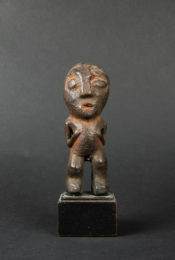 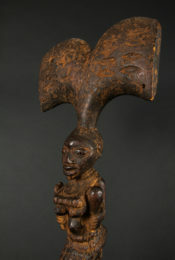 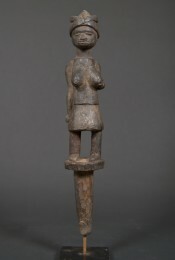 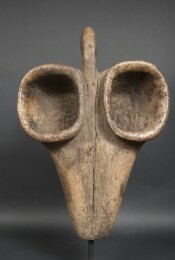 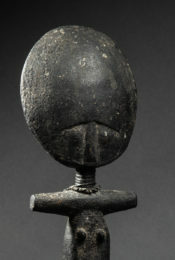 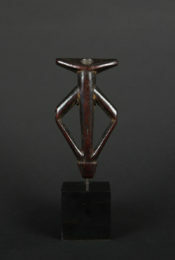 This slender sculpture represents a female figure using a mortar and pestle to grind millet, the basic element of the Dogon diet. 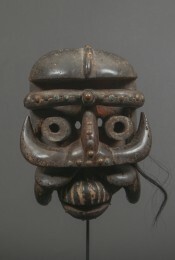 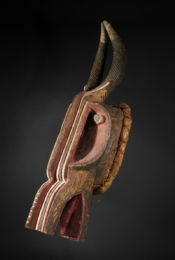 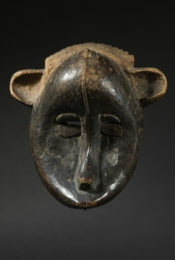 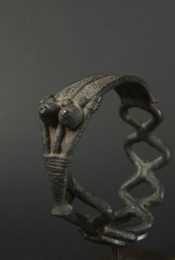 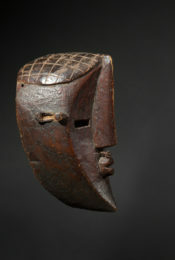 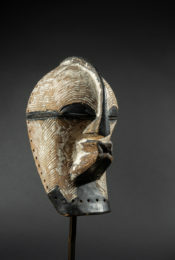 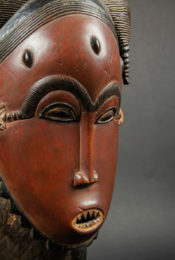 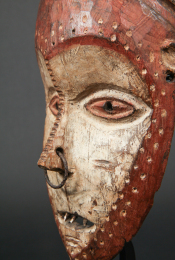 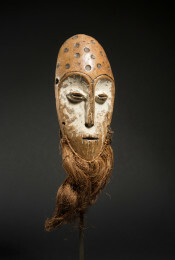 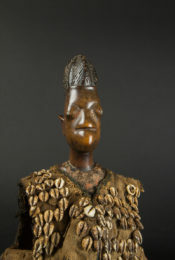 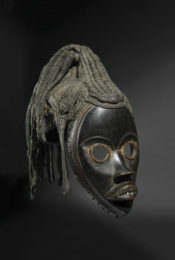 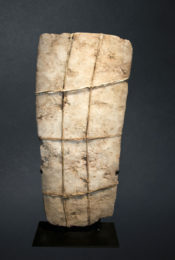 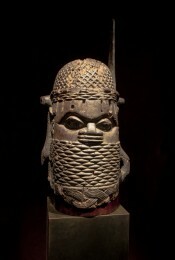 This fundamental nourishing activity also has symbolic connotations, with millet and grains occupying a role of primary importance in the Dogon belief system about the origin of the universe, and the first appearance of mankind in it. 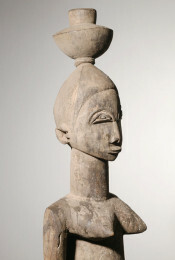 There emanates from this female figure, with its head sitting haughtily on its shoulders, a remarkable nobility and poetry. 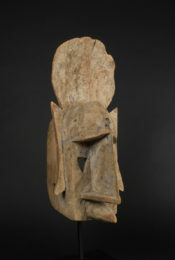 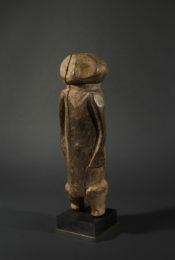 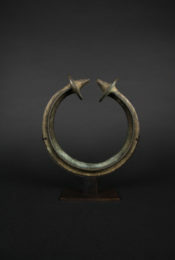 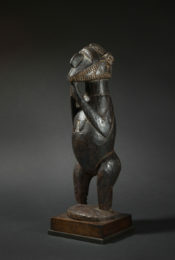 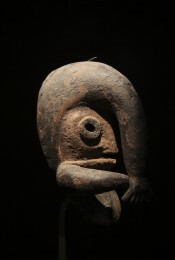 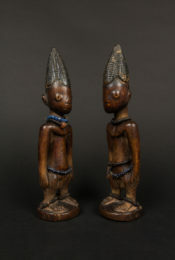 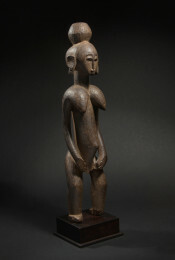 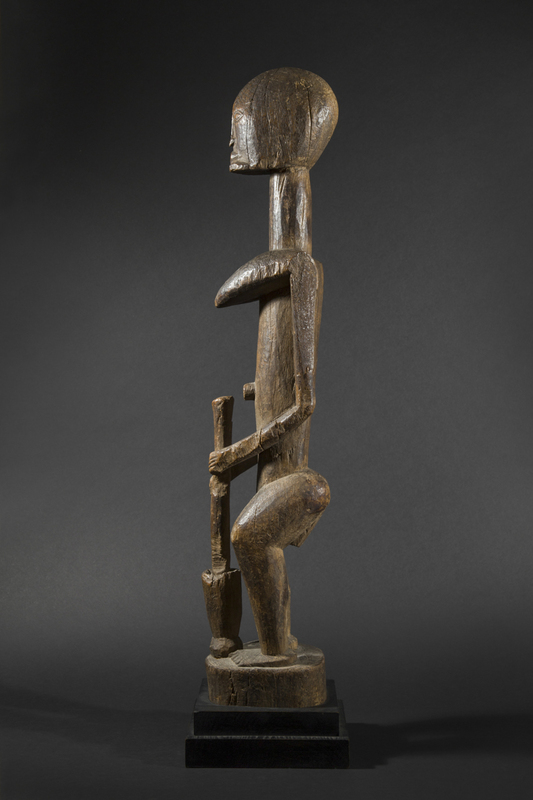 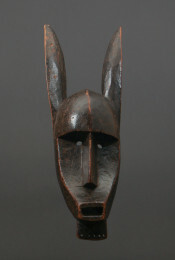 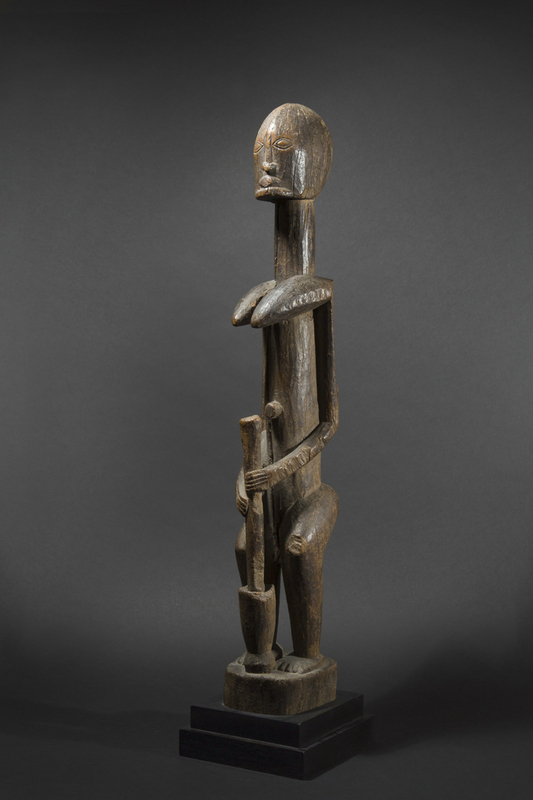 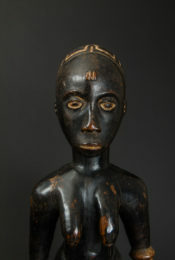 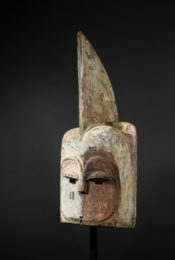 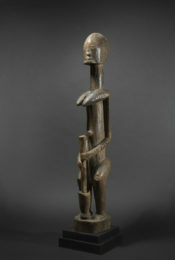 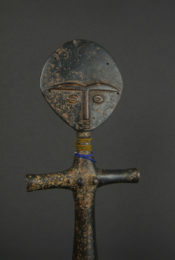 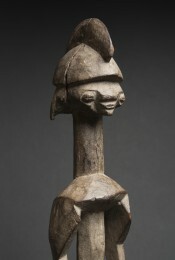 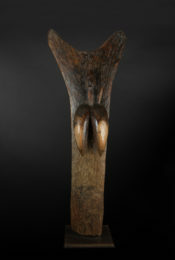 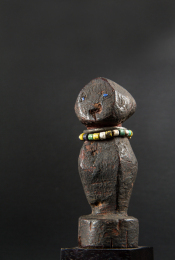 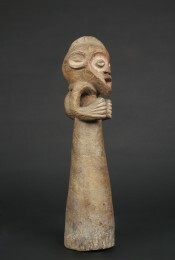 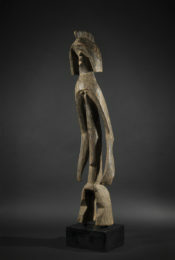 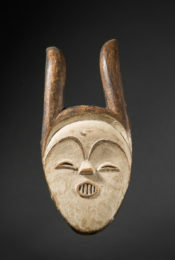 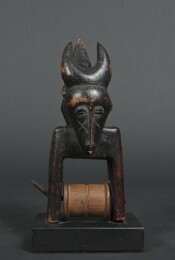 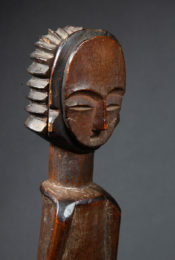 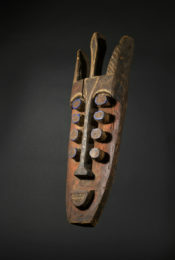 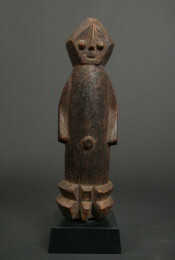 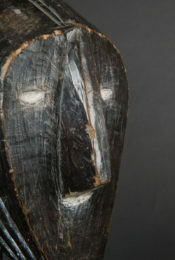 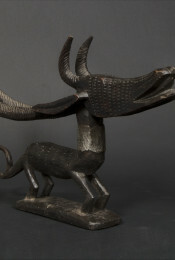 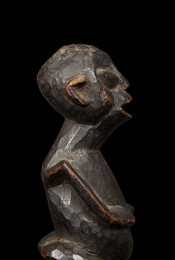 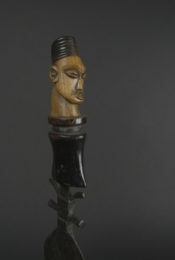 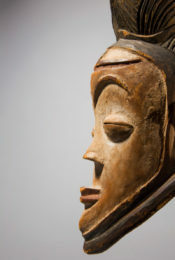 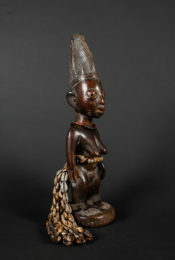 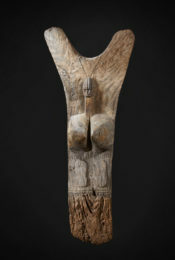 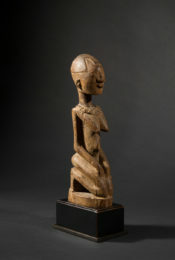 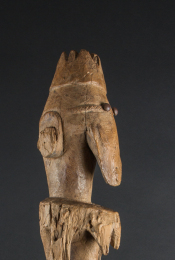 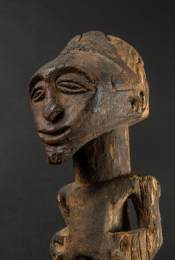 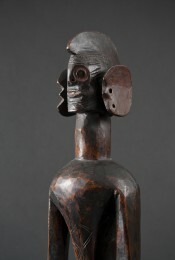 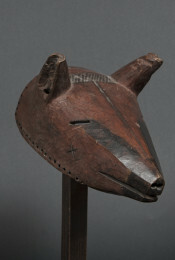 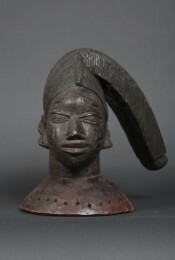 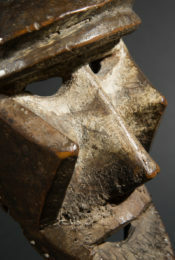 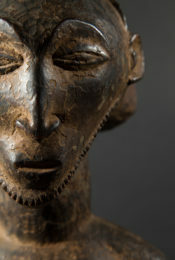 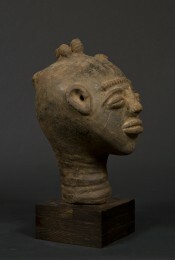 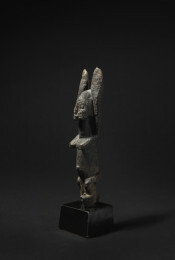 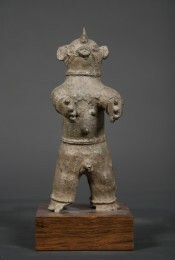 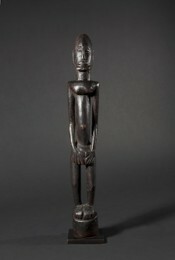 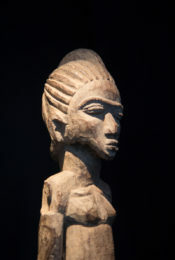 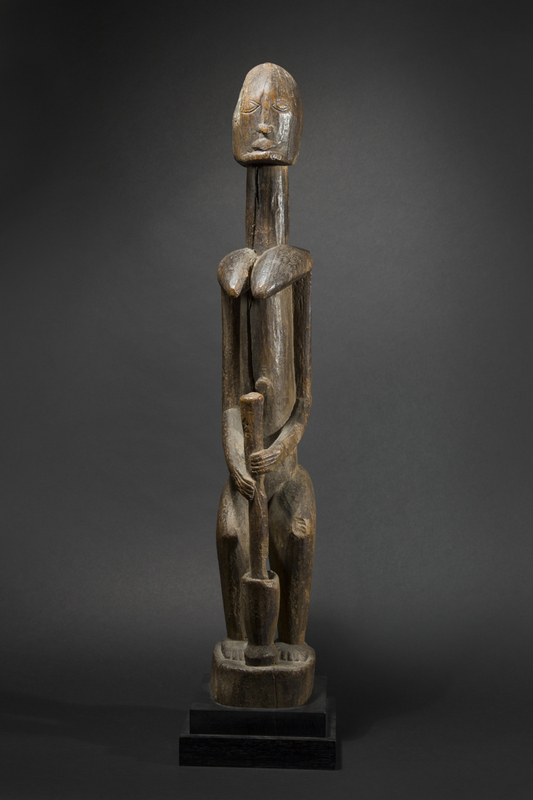 This statue combines the classic canons of Dogon art: a hieratic verticality, an assertive and dynamic pose, and a long neck that confers dignity and an upward thrust to the figure.